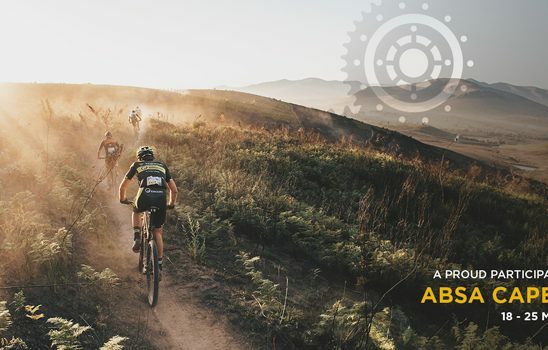 In just a few weeks’ time our Managing Director Jon will be taking part in the Absa Cape Epic; the world’s largest full-service mountain bike event which is held in South Africa. Together with his team mate Guy Cobbe from Pedal Power in Loughborough, they are sponsored by Lowe Electrical and will be riding as Ambassadors for the Anna Foundation Charity. The Anna Foundation’s inspiring work ensures through their 3 R’s “Reading, Running, Righting” Programme to provide children with much needed literacy and numeracy assistance, encourage a love for all kinds of sports and healthy lifestyle as well as teach children how to integrate values into their day to day lives. The race takes place from 18th to 25th March 2018 and will be as challenging as ever. Local and international mountain bikers will tackle the demanding eight-day adventure through the Western Cape region in South Africa. The terrain is as varied as it is harsh – dusty and demanding gravel roads, strenuous rocky climbs, thrilling technical descents, refreshing river crossings and fast forest single tracks. The event must be completed by both members of a two-person team, with only 650 teams allowed to ride the race. The route changes every year leading aspiring amateur and professional mountain bikers from around the world through roughly 700 untamed kilometres of unspoilt scenery and 15,000m of accumulated climbing. Jon and Guy have been in training from the end of September last year through the coldest, darkest, wettest conditions imaginable, putting in an average of 11 hours a week on their bikes. Weekends have been spent partaking in events across the Country; ensuring the hours and times are being met and, although fitness is at a very high level now, with only 6 weeks to go there are still many more hours of training to be achieved.